Robolab Technologies CoFounder and Director, Amol Gulhane awarded with Youth Inspirator Award in Science and Technology - Robolab Technologies Pvt. Ltd. 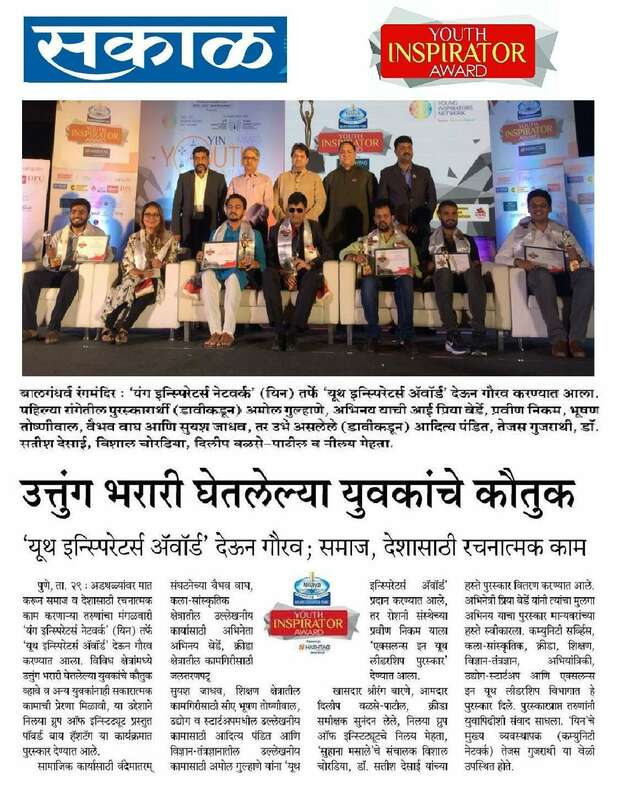 It gives us immense pleasure to share with you that Robolab Technologies CoFounder and Director, Amol Gulhane awarded with Youth Inspirator Award by Sakaal, Nilaya Groups and Young Inspirator Networks in Science and Technology, Pune. Robolab Technologies is taking Technologies to masses through initiatives like Atal Tinkering Lab (ATL) for schools and Robotics, Internet of Things, Mechatronics Center of Excellence for colleges and universities and is amongst the frontrunners in Robotics Education. We are interested to establish center of excellence for robotics and Mechatronics. It will be great pleasure to associate with you.